Remember, Rome wasn’t built in a day. All those successful Hollywood stars you watch on TV and films today have invested years of hard work and dedication to reach where they are today. You might be aspiring to become a famous film actor or model one day, but you need to take that first step to reach on top of the ladder. You might be wondering which is that first essential step or the gateway to the glorious world of films and Television industry. Well, they are the TV extras roles and the extras work in theatre and films. As a new comer, you would have to first prove yourself through the little extras work that is given to you. If the film producer/director or the TV production house owner likes your acting, he might give you a lead role in his next film or TV show. But, getting TV extras work and film extra work is not as easy as it may sound though. It’s really difficult to find where extras are wanted and whose looking for film extras. The only way is to use the services of a casting agent. 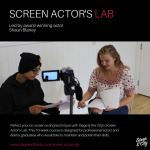 Casting agents share a rapport with several production houses and film producers and help them find the actors whenever they need them. By forwarding your profile to a good casting agent, you can really improve your prospects. The casting agent would inform you about the auditions and if you have the talent and you are lucky enough, you can grab a TV extra role for yourself. However, be careful when selecting the casting agent as there are quite a few of them who run away with the money of innocent young artists without actually offering them any valuable services. If you are wondering how you grab extras work, just log on to www.castingnow.co.uk It is one of the most reliable and largest platforms for getting TV extras, film extras, and extras work in theatres, shows, and modelling assignments. The website is run by experienced casting agents and those who have actually casted extras for TVS, films, and other projects. They help young artists find promising extras work by giving them details about the upcoming auditions and offering listings of acting jobs, modelling jobs, singers, dancers, and other job openings. Also, they help young actors place themselves strategically and find acting jobs. For complete details about the website or to view the casting extra details and openings, please visit the website.